NJSEA and the Tree Swallows Thank the BCAS!! 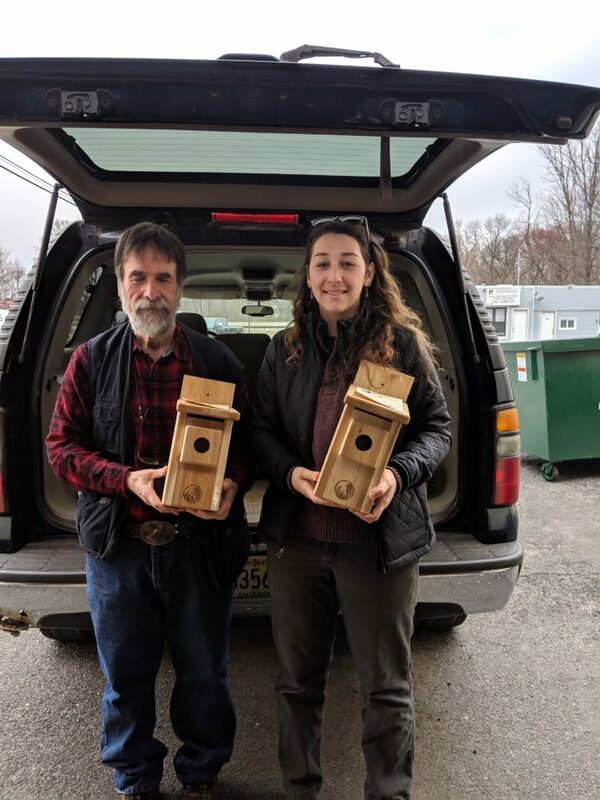 A huge thank you to the Bergen County Audubon Society who this morning donated 20 nesting boxes to the NJSEA to be used around the Meadowlands for the spring migrants! 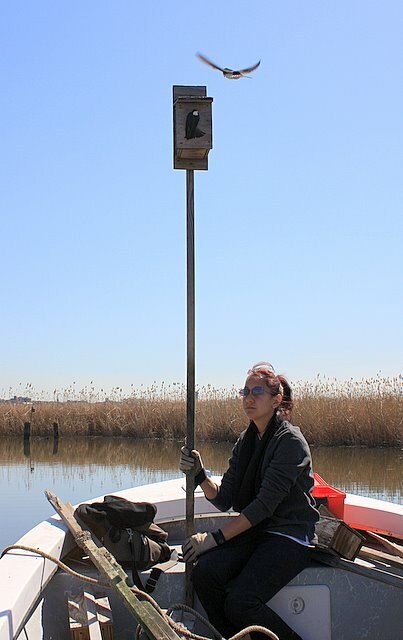 Pictured is BCAS President Don Torino and NJSEA Naturalist Aleshanee Mooney. The tree swallows love the boxes so much they don’t even wait for them to be installed before claiming their new homes. Check out the past photo below!